Are you a TweetDeck fan? Do you find yourself lost and confused when you have to resort to twitter.com? Do you wish TweetDeck’s columns and media-sorting superpowers could be applied to, say, Instagram? This is Picdeck, a new web app brought to you by the folks at Marvel App. It brings the column-sorting fastidiousness of TweetDeck to Instagram. Once you sync your Instagram account, you can add additional columns focused on hashtags or on other users, like Drake. 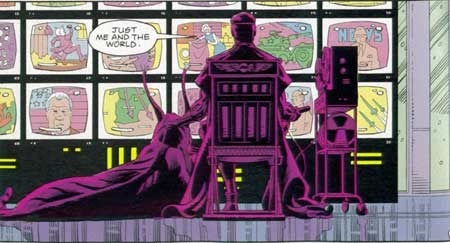 It makes you feel like Ozymandias watching the world crumble. It’s not quite as practical as TweetDeck, especially since Instagram users don’t post pictures nearly as often as Twitter users tweet. But it could be useful if you need to track a hashtag campaign.